A simple model is developed to investigate the relative role of network geometry and hillslopes in basin response. 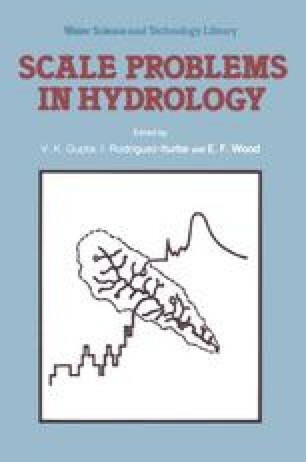 The network geometry is quantified in a function, termed the width function, that reflects the distribution of runoff with flow distance from the outlet. The model consists of two components: the routing component of the initial distribution (width function) through the network by means of a simplified diffusion approximation; and the hillslope component. The latter is also considered in an idealized manner with the purpose of investigating the relative importance of both components. Various assumptions are tested through qualitative comparison of the model output with a recorded event.